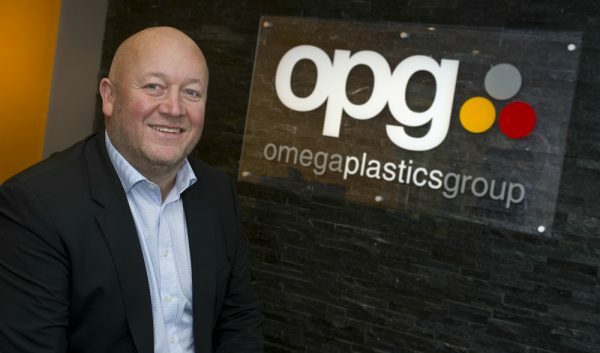 Omega Plastics has taken a new approach to educating its future partners by inviting product design students from Gordonstoun School, one of few boarding schools in the UK housing a diverse range of students from over 40 nationalities. 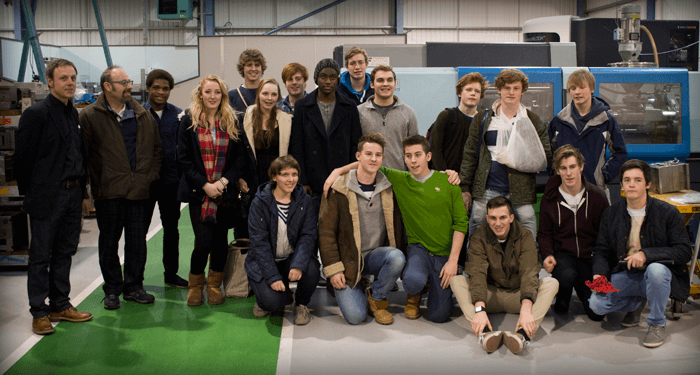 On the 30th of January 2014 Omega played host to 18 students of Gordonstoun School whom study A-level product design. As part of the program all students are required to understand the materials and various manufacturing processes used to produce commercial products. Although the school facilities provide such machinery to demonstrate and create products as part of their assessed projects, there’s a gap between learning & studying design, to transferring the visualised concept into something tangible – especially the decisions made to achieve the required results. 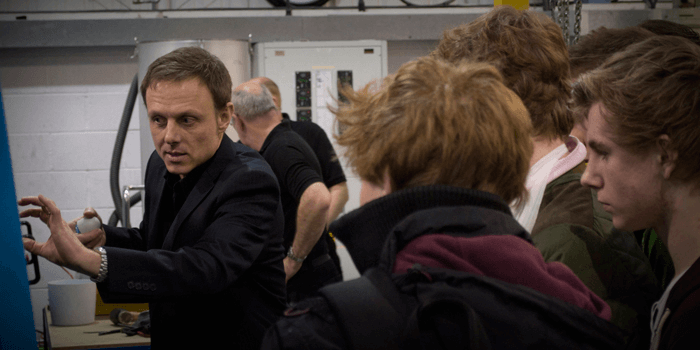 After being contacted by Richard Parker – head of Design & Technology at Gordonstoun School, the companies couldn’t pass up the opportunity to educate future design engineers and arranged a full day visit at the 10,000sq ft Blyth facility. The students had to leave with a greater understanding of the material selection process and various manufacturing practices such as rapid tooling and plastic injection moulding along with techniques used to achieve high quality products. First of all the students were split into two equal groups which would be taken through a logical flow starting with the commercial side of the company, it’s delivery to the marketplace and most importantly to them; how we integrate design to manufacturing. 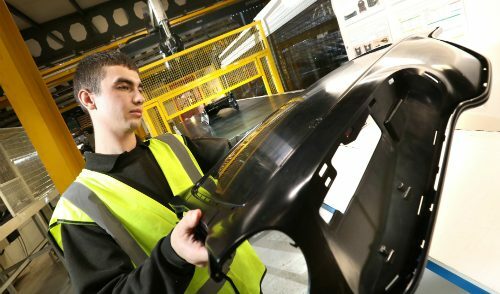 This immediately brought a number of questions surrounding product purpose, complexity of build and how we enable manufacturability of concepts – expressing the need to demonstrate our tooling and injection moulding capabilities. The students begin the tour in the tooling area of Omega’s facility in the experienced hands of Tooling Manager Steve Fairbairn, here demonstrating the use of electrodes and the input they have in the tooling process. After understanding how injection mould tools are formed, the group were passed onto the capable hands of Operations Manager Rob Gray, an experienced engineer in mould tool manufacturing to look into the moulding side of the business and the production of components. During the visit to moulding the students also got to question a number of key staff including Steve Jackson, responsible for project planning, another member of staff with experience in processing and polymer selection. The material selection part of the visit opened the floor to further questioning, most of which was based around the manufacturing of iconic and easily recognised products like the Lynx can. Others included LIFESAVER® Systems’ range of products and bac<, a recent turnkey solution provided by Omega Plastics in 2013. Overall the day was a great success and a testament to the hard work of Omega’s staff and the learning efforts of the students. One of the visitors and key members of staff at Gordonstoun School Richard Parker expressed his gratitude to the company and found the visit very educating and relative to the student’s current learning program. When asked about the visit, Group Managing Director Dave Crone conveyed his positive message and extended an invitation to return to the facility the following year: “The catalyst for the visit was the relationship between Lifesaver systems CEO Michael Pritchard and Omega Plastics. Having experienced the evolution of product design through to manufacture and then to market, Michael was keen that the students of his old school should also benefit from his learnings in preparation for introduction into a post educational phase. It’s vital for both education and industry that we create an awareness of the ever changing demands upon either party which in turn creates a solutions based mentality. 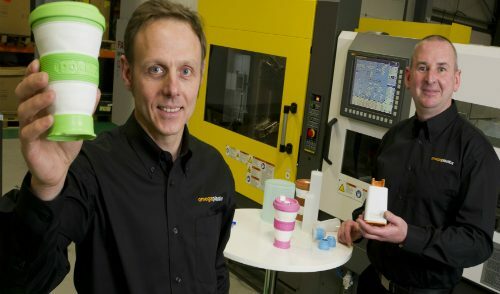 The visit demonstrated the benefits and key techniques of producing real plastic parts capable of withstanding functional and physical testing in comparison to various others like 3D printing – more commonly used for visual and concepts purposes“. The day was a great success and Omega will continue to support Gordonstoun’s product design students as well as a number of national & international education facilities.